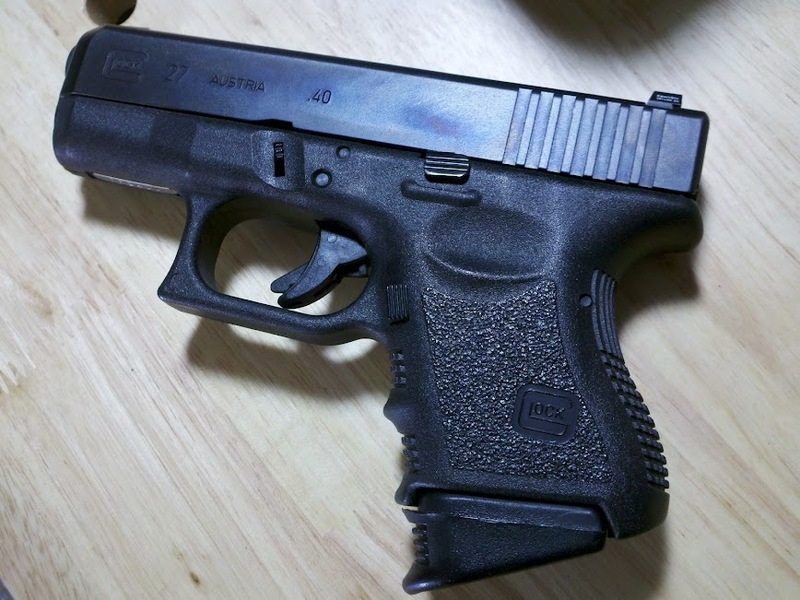 While the Glock Company likes to use the word “Perfection” when it refers to its product, the one criticism many make about their pistols is the fact that the grips can get a bit slick/slippery with sweaty (or God forbid bloody) hands. A small cottage industry has sprung up selling tapes and coatings to address this issue. 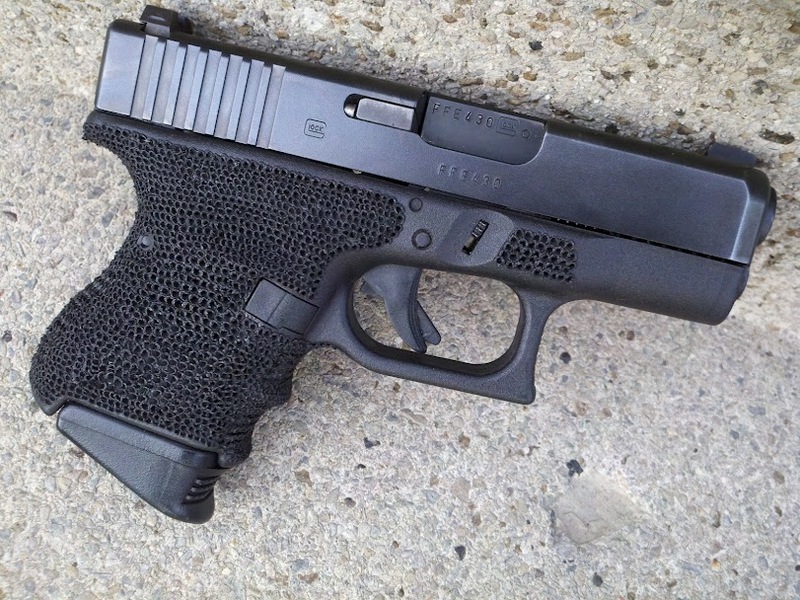 Another option is a DIY Stippling Job you can do yourself if you have the nerve. All you need is a soldering iron (got mine from Radio Shack for $8) and a marker. Use the marker to draw out the areas you want to add texture to and then start stippling with the iron. There are different textures you can create with different soldering iron tips. I used a simple point tip to make a “cats tongue” type texture. All you need is some patience and a steady hand. Granted, it’s not the perfect “look” you would get with a commercial job, but it works and it’s cheap. 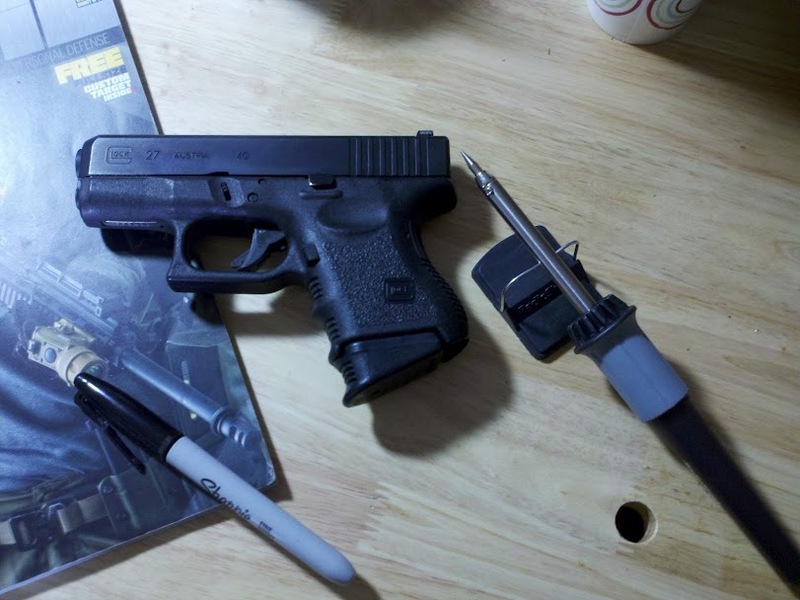 Besides, there’s something “mean and functional” to the DIY look anyways. 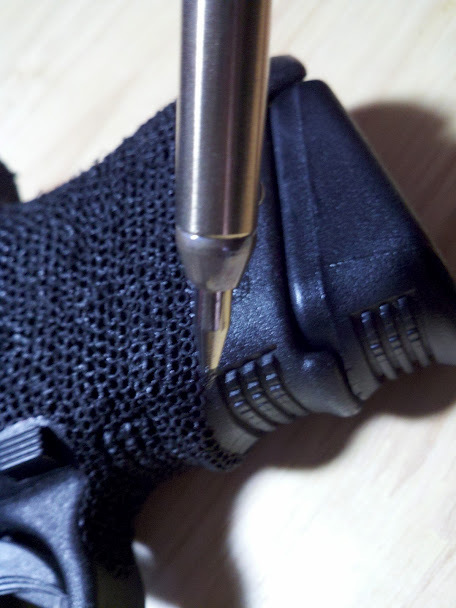 Did you put that litte bit of stippling on the forward end as a reference point for your trigger finger? Pretty much…they serve as reference points..when my support side thumb and trigger finger are touching them I know I have a consistent grip.